Winner of the Emma Graham Dress Giveaway! 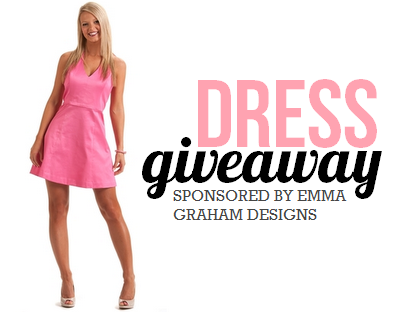 Remember this lovely pink dress from Emma Graham Designs that we offered to one of our amazing readers? Thanks for entering and reading College Gloss! For more fun dresses perfect for your spring formals or a date night with that cute guy in your psychology class, visit www.emmagrahamdesigns.com. *Kennedy, please e-mail stephany@collegegloss.com with your name, mailing address, and dress size to claim this cute dress!